I've talked before about my love of Whittards Fruit Tea, but unfortunately they are full of sugar so I tried to only have one a day. 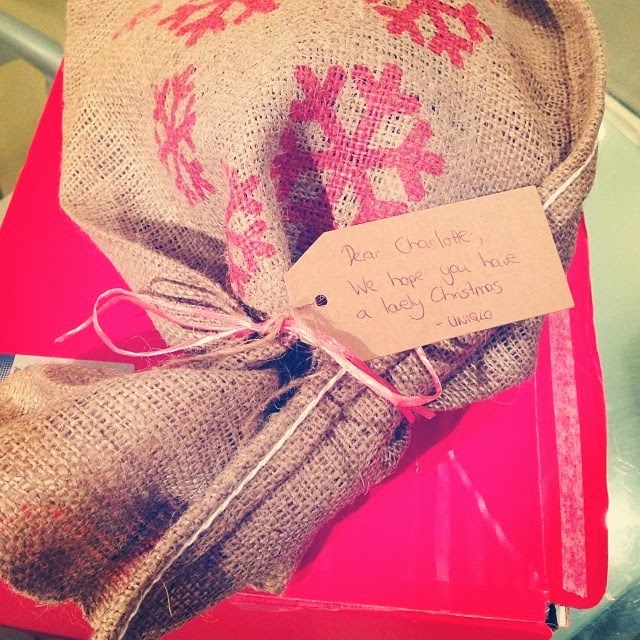 But then I was sent a box of lovely Fruit Broos. These are perfect for cold winter nights and full of flavour! 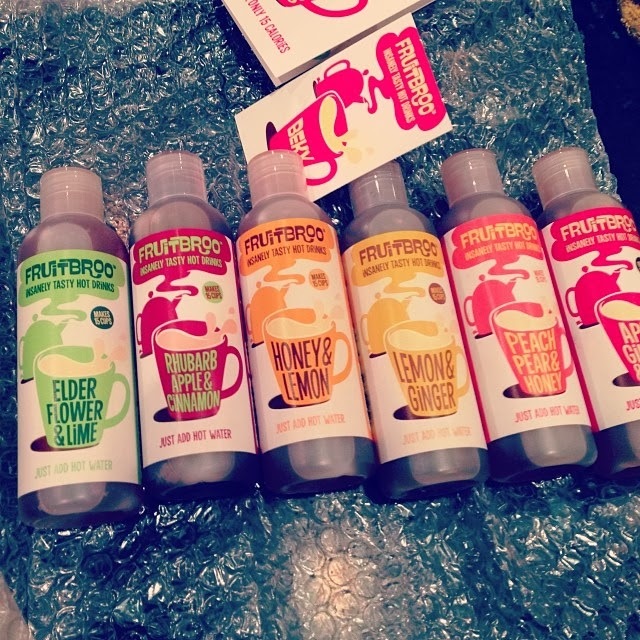 My favourite is the Apple and Ginger flavour, which reminds me of American Hot Apple Cider- my favourite drink when I lived in Minnesota. A Mysterious package from Uniqlo! 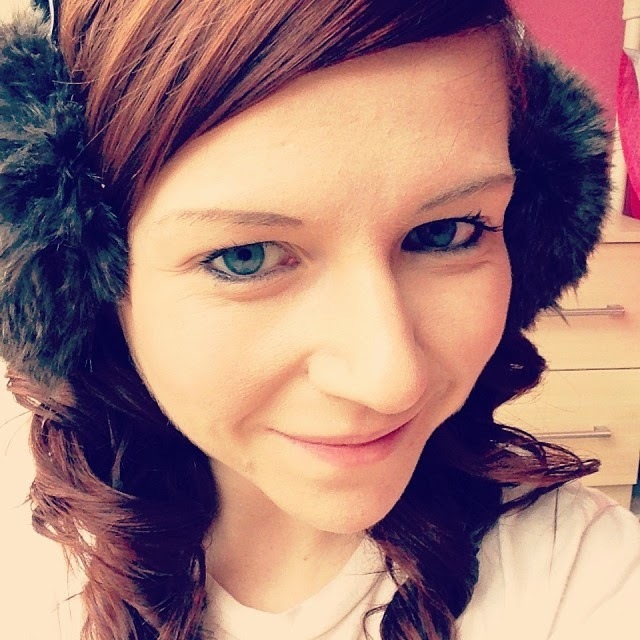 I'd actually been watching about a dozen pairs of furry earmuffs on eBay so I was over the moon to find these inside! I can't wait to wear them! 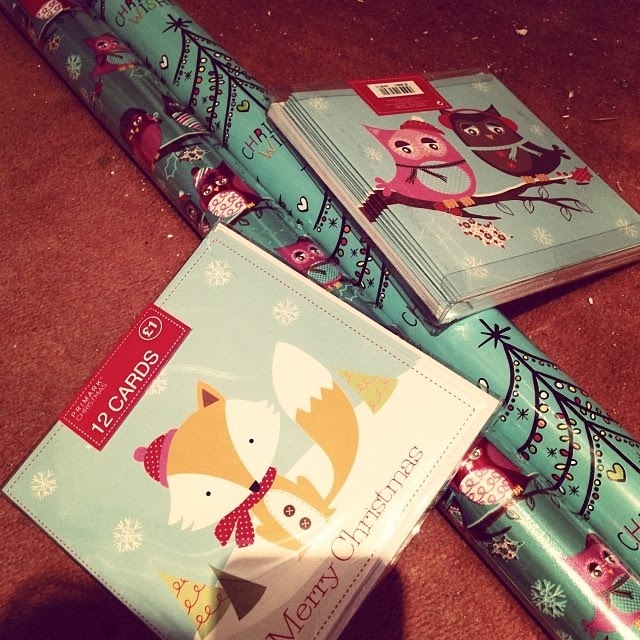 I still wasn't in the Christmas spirit on Thursday so I went into town to grab some cards and wrapping paper (how cute is this owl paper? 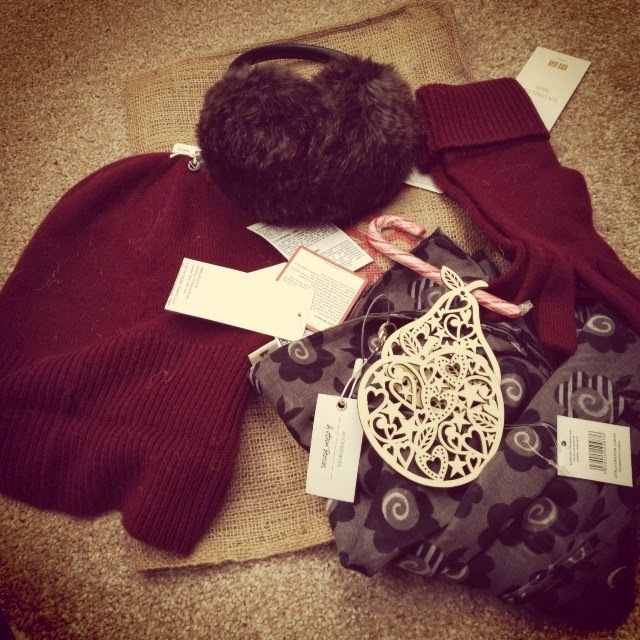 It's from Primark!) 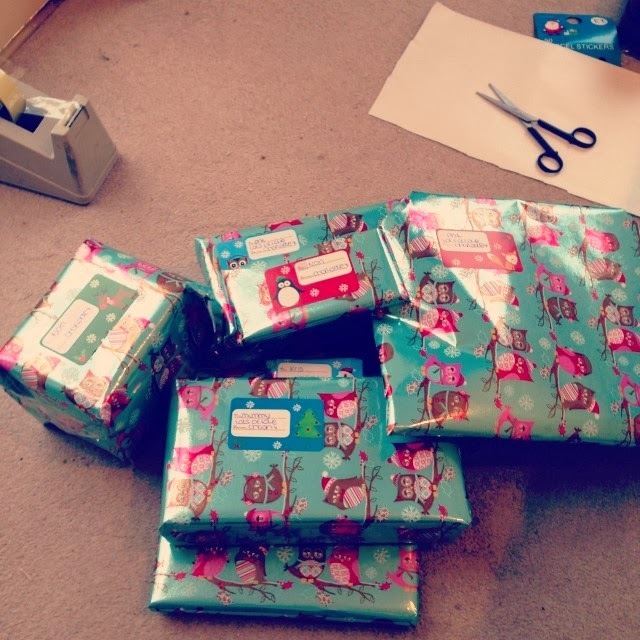 and then put some Christmas music on and wrapped my presents to get me in the mood! 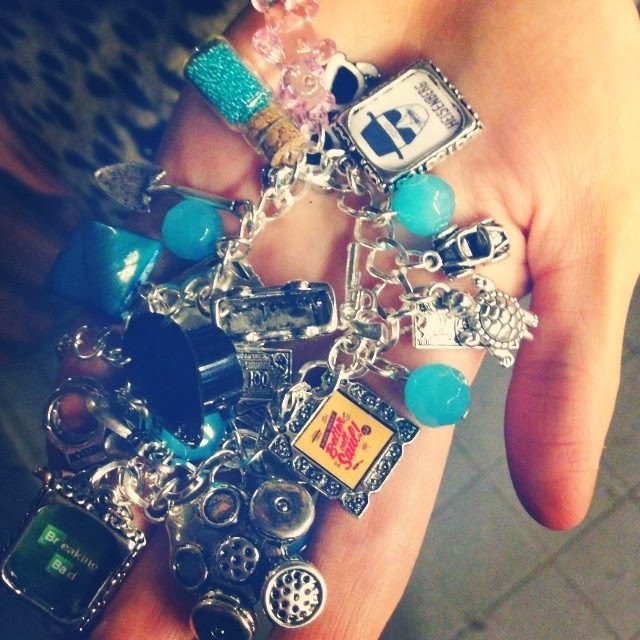 Yes, that is a Breaking Bad charm bracelet. Oh did I not mention that I'm obsessed with Breaking Bad? I went out with some of my old colleagues on Friday and Kris and I had bought each other presents. She'd sent me the link to it ages ago but I definitely didn't expect her to buy it for me! It has a little jar of blue meth, Heisenberg's hat, a gas mask, the RV (with bullet holes in the roof!) a shovel, a gun and loads of other amazing things! I love it so much! We had a quiet night in our Saturday night and I remembered that we hadn't watched Elf this year! 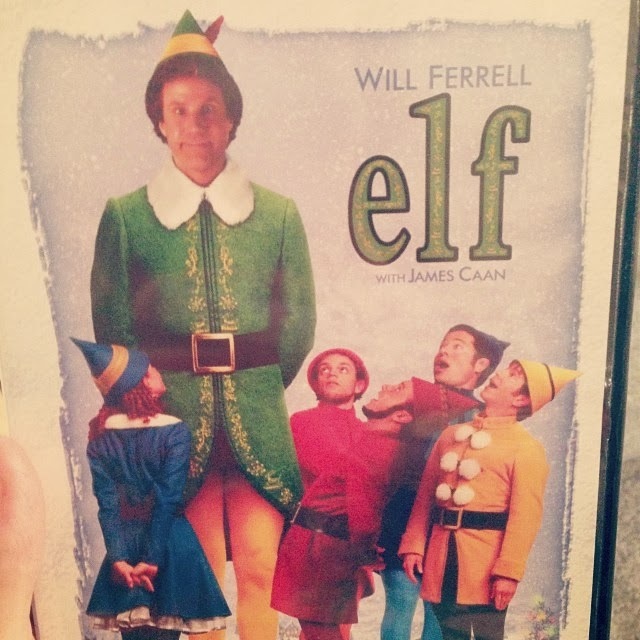 Elf is one of my favourite Chirstmas films and it always puts me in the Christmas spirit. And maybe makes me cry a bit. JUST A BIT! 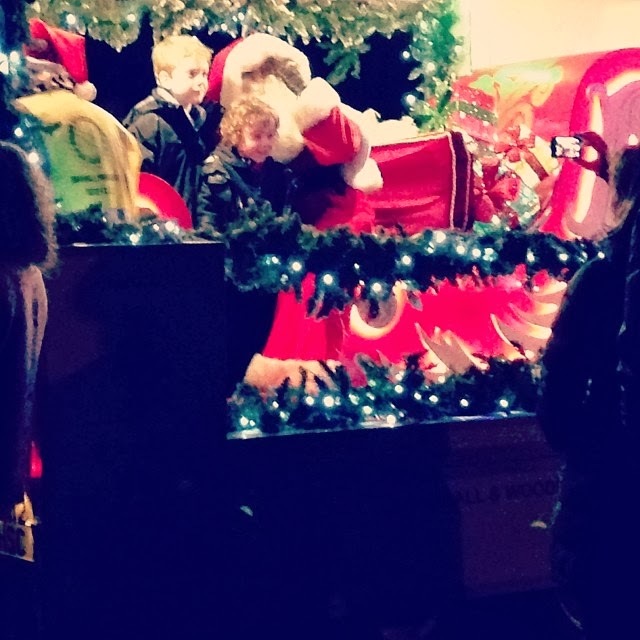 Does anyone else get a Santa float coming down their road at Christmas? This is serious tradition for us and we were so excited last night waiting for him to arrive. I'm probably a little bit too old to go sit on his lap, but I did run out in my slippers to take a picture! 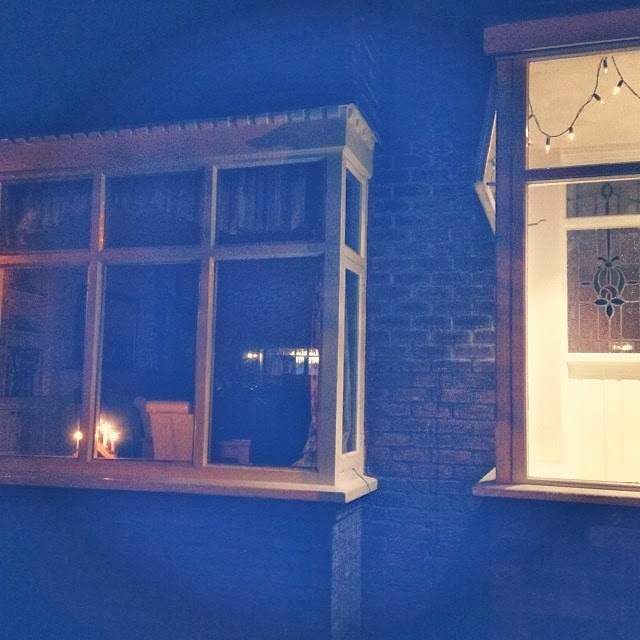 To stop me complaining about not having the tree up yet, my Dad put up our Christmas candle and turned on the lights in our porch last night. We haven't taken the lights down since last year! 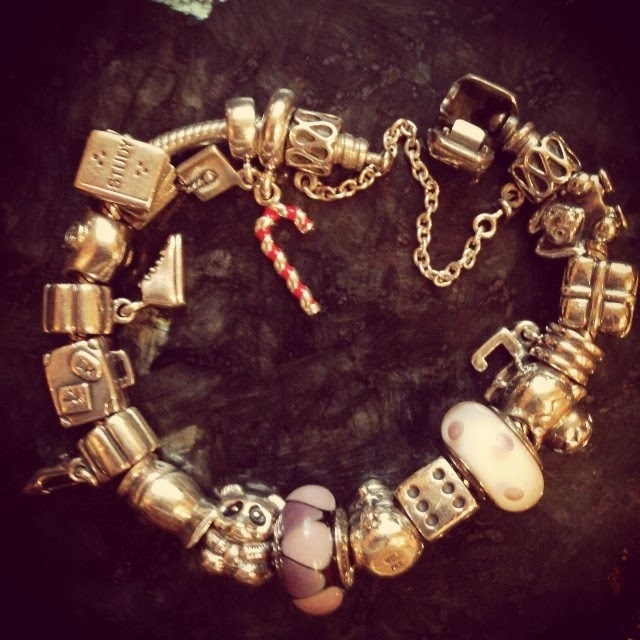 I was contacted a few weeks ago by the lovely people at Joshua James jewellery who wanted to send me a festive charm for my Pandora bracelet. Now I don't wear my Pandora all the time, but the charms I have all mean so much to me. My graduation cap, the panda my parents got me before I went on my year abroad, the suitcase my friends bought me for my 20th Birthday to name but a few! I wanted something bright and after literally weeks of umming and ahhing I went for this candy cane. It brightens my bracelet up so much! 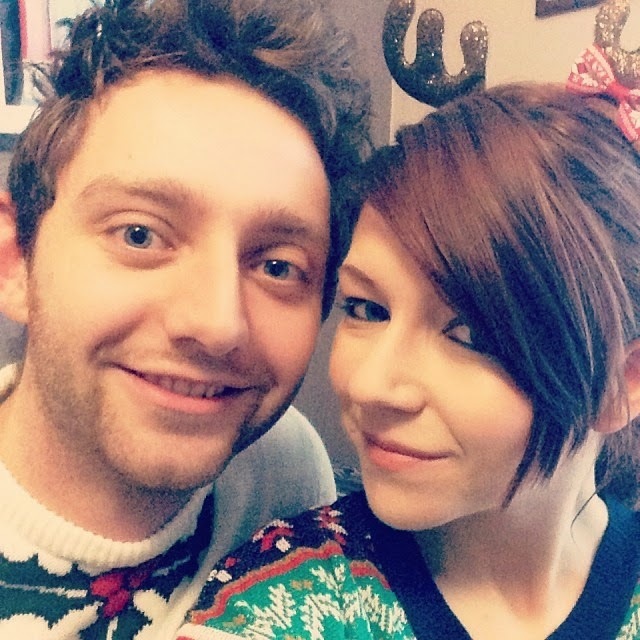 I'm hoping to have more Christmassy stuff to post next week when our tree is finally up! Can you believe next week is Christmas?! Your paper for packaging is toooooo sweet!! adorable! 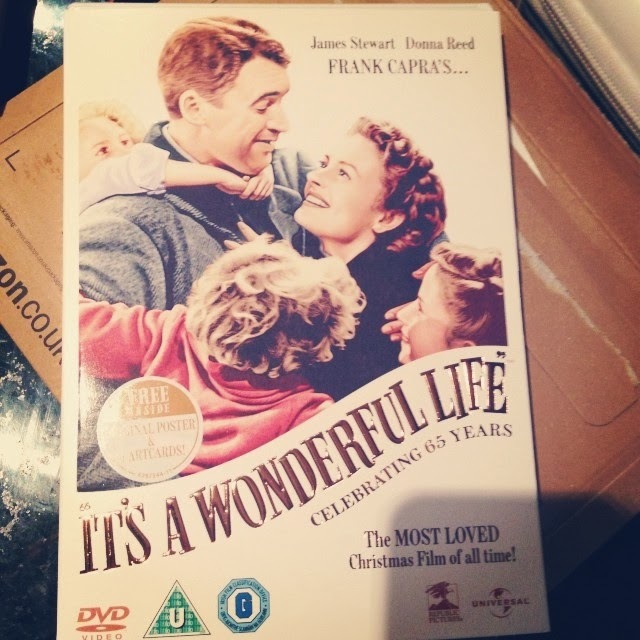 It's a Wonderful Life is a great one! You better make it through, this time! My husband hadn't seen it when we got married but I quickly changed that! 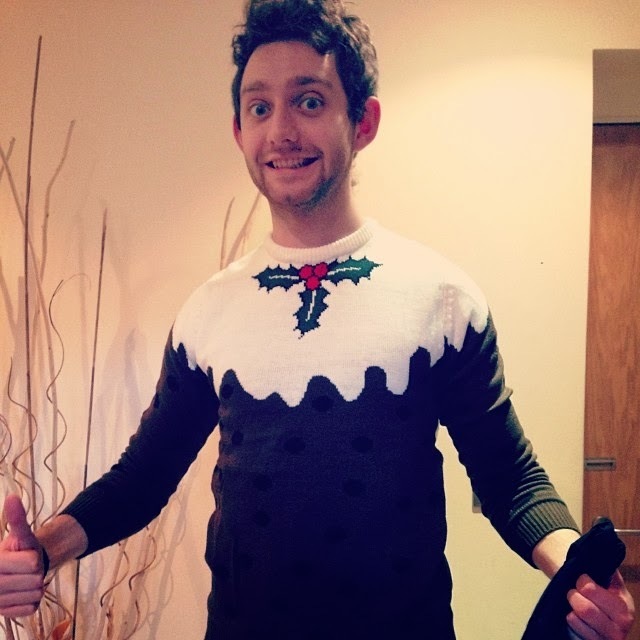 :) I can definitely see that you're gradually getting into the season of Christmas activities! I love it's a wonderful life! Never seen elf!